While some experts might say the absence of a strong executive LinkedIn presence is a career-killer, I would not go that far. Many executives have wildly successful careers without ever venturing onto LinkedIn. 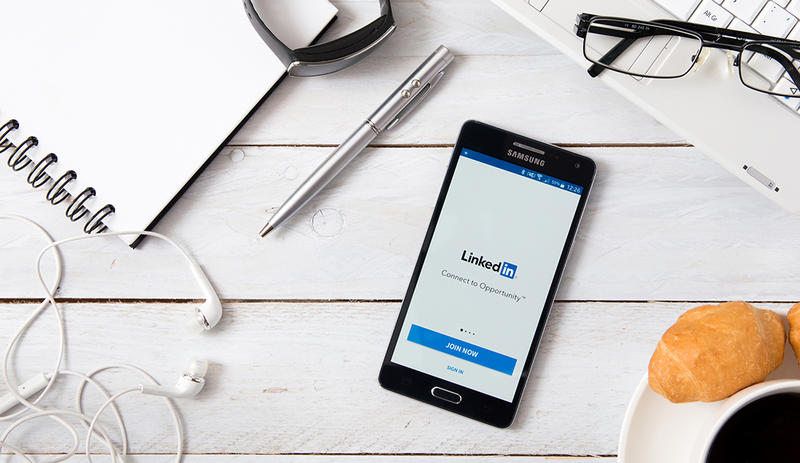 That said, LinkedIn has 562 million users (and growing) around the world, and increasingly more recruiters are tapping into LinkedIn as their go-to source when vetting candidates. Given these facts, you may want to seriously consider your own LinkedIn strategy, or lack thereof. Assuming everyone in the recruiting process is familiar with your reputation is an unnecessary career risk when a digital personal branding channel is at your fingertips — and it’s free. Some recruiters in this wide world of executive hiring may not have had the opportunity to intersect with your personal brand yet. Consider also the leaders, recruiters, and executives from the next generation who are currently outside your sphere of influence. Moreover, board-level leaders and executives in wholly different industries may be the crucial link to your next breakthrough role. You could cross paths with them, if only you were available where they were looking. Finally, even if your reputation has caught a recruiter’s interest, that recruiter is subsequently going to seek you out on LinkedIn. If you are absent, or if your profile is anemic and/or unimpressive, their first impression will be diminished. If it is outdated, of poor quality, includes people other than yourself, or is generally unprofessional, then update it. If you can, invest in a professional photographer. If you cannot, tap a trusted friend or colleague to take a high-resolution and well-staged photo. Smile and face the camera, engaging the audience. Before uploading your new photo to LinkedIn, name the file with your full name and/or target position. Yes, even filenames can influence your SEO ranking. It should include either your full name, your full name and a phrase related to your job function, or simply your area of expertise. For example, I no longer use my name and have instead have opted for “master resume writer” as my URL. Use all 120 characters. A myriad of strategies for headline optimization exists, including writing a headline that describes what you do and for whom you do it. Spattering the headline with buzzwords that signify skill sets may also work. Moreover, using compelling, powerful language that, like a billboard, grabs attention, may drive profile views. At the executive level, I would focus less on sounding buzzword-y and more on distinguishing your value from all the other soundalike profiles. Despite what some experts may tell you, there are no hard and fast rules. This is your story to tell. You can lead with a personal story from your childhood of an event that shaped who you are today, or you can hit the ground running with your bottom-line impact and actionable leadership traits. Somewhere along the way, weave in examples that prove you drive measurable results. While the rules are amorphous, you must always consider your target audience’s needs first. Avoid losing them in a ramble of unnecessary and unfocused narrative. Your target audience may be the next corporation looking for the talent you offer, or the customers you serve, or a blend of both. Consider how Tami Erwin, the executive vice president of operations at Verizon Wireless, created a summary that appeals to both a board-level audience and the customers she serves. I am a proud wife, mother and Executive Vice President of Operations at Verizon Wireless, the largest wireless company in the United States. I also am guiding a strategic transformation, employing digital as a catalyst to redefine + modernize the retail experience across every channel—a deeply customer-centric approach, founded on respect and integrity. Early in my career as a customer service rep, I learned what it means to be tied to the desk and have accountability – dependent on processes and a leadership that enable you to deliver. I bring those learnings into my present leadership position where I work hard to create a best-in-class corporate culture. She concludes with a call to action, inviting readers to reach her through email. This section should provide a meaty overview of your contributions while not giving away the store. While your online value proposition — i.e., your LinkedIn profile — is akin to a miniature resume, it is unnecessary to disclose the level of detail your resume will provide. Just because LinkedIn allows you to write 2,000 characters per role does not mean you have to use all 2,000 characters. Be strategic and impactful in your message, inviting the reader to request more information and engaging them beyond the profile. Jacqui Barrett-Poindexter is CEO and master resume writer at CareerTrend. Connect with Jacqui on LinkedIn, Facebook, or Twitter. Jacqui Barrett-Poindexter, CEO and master resume writer at CareerTrend, is one of only 50 master resume writers. She has crafted more than 1,500 interview-spurring career stories. Her B.A. in writing/journalism allows her to apply a journalist's eye to your career.